My name's Jan and this is my website all about Aspe in Spain. Register now for free to talk about Moving to Aspe: tips and advice and much more! It strikes me that recent currency movements are rendering a house purchase as ill advised. 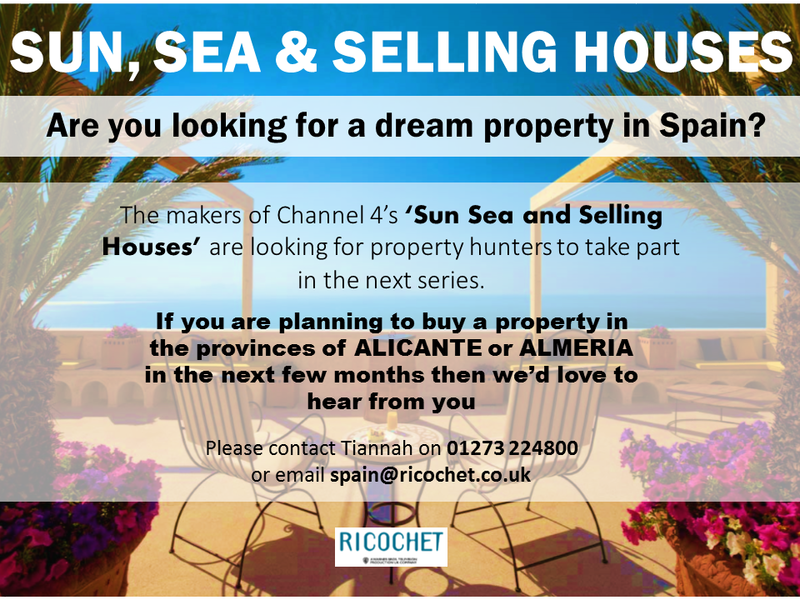 I wouldn't want to be selling a place in Spain at this time. As the rate rattles around 1.1 you'd have to be brave or stupid to buy now. How can it be that the market is often described as buoyant? I'm starting to think that I won't buy unless I see a rate of c. 1.2 to the pound, I could rent my place in the UK out but I really don't fancy the aggro. Clearly there are buyers from countries other than Britain but given the reliance on us to feed the market 2018 must be turning into the wasted year. Roll on 2019, if May's white paper is workable maybe things will change. Must be a downer when so many depend on £ denominated pensions or rental income being remitted each month? Looks like another year at work for me. I purchased in the 1.30s but others will have bought even higher. Even then the £ was falling and I changed all my euros 4 mths before I had even found and completed on a property. Had I changed the money on the day of the sale it would have cost me £11000 more. I would advise the same as you .....UK buyers should hold off until the £££ becomes worth more than toilet paper. 1.20 is a fair target. I don't think we will ever see again the 1.40s we saw in 2015. I think you are right. Throwing money away is never pleasant or advisable. What's your view, do you have one or just nervous of such sentiment? Great advice. Fools rush in where Angels fear to tread. Everything I do is planned and informed. I'm happy to take a challenge here but not a feelings based one. Hang on a minute if you got one to one and wanted a place in the sun and can afford it what is the problem! remember nothing is guaranteed and the pound could end up being worth less than the euro long term as no one actually knows what will happen even the so called experts! Nothing is wrong with it. What I'm suggesting though is that markets need confidence. With Brexit and a weakening Sterling value there may be significantly less buyers or buyers with less Euros. My position is that this is not good for the market. Personally parity in Gbp:Eur would likely kill off my plans and I've been relatively disciplined fiscally.